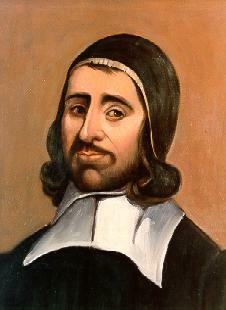 I’ve been spending a lot of time reading the Puritans lately. It has been so refreshing to learn more about them and learn more from them. One of the things I learned is their tremendous heart for evangelism. For them, gospel-sharing was what they did every time they mounted the pulpit to deliver God’s word. They knew what we’ve perhaps forgotten: the gospel is the power of God for salvation and preaching was the main vehicle to deliver it. Of course, now, we have so many delivery vehicles for sharing the redeeming love of Christ that we are richly blessed. This blog serves as one of those venues (and the links to Facebook and Twitter…). When I browsed Richard Baxter’s many works I came across one titled “Fifty Reasons Why a Sinner Ought to Turn to God.” As expected, they are common sense, varied, rich, penetrating and useful. I hope to share one each time I blog on this topic believing that as I do I’d be reminded of the greatness of being a son of God and that maybe a reader would find the same. Do not delay: turn to Christ.